Three times winner of Monologue Slam, Maia will next be seen in A BELLY FULL for The Mill at Sonning Theatre. 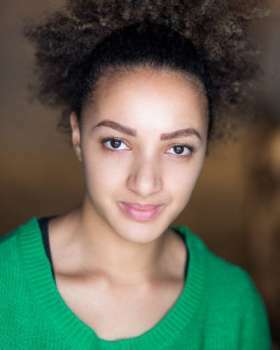 She most recently played the lead role of Cara in the premiere of Jame's Fritz FOUR MINUTES TWELVE SECONDS for Gothenburg English Studio Theatre. Recent screen credits include HOLY BEEF, NOT BOUND WITHIN, EASTENDERS, THE EDUCATOROR, MARLEY'S GHOSTS. Theatre includes LIGHTIE for Theatre Royal Stratford, KITE and THE CHICKEN SHOP.